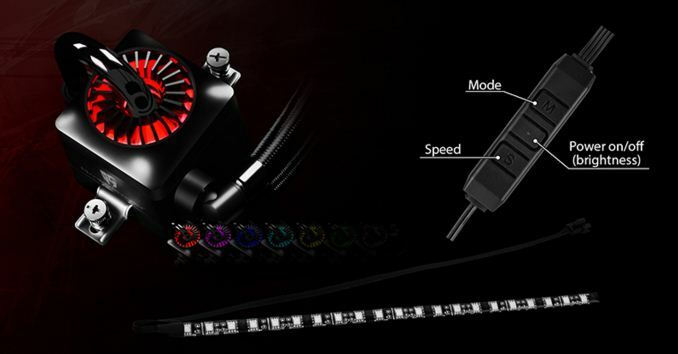 Deepcool has announced its new lineup of CPU coolers featuring customizable RGB LED lighting. 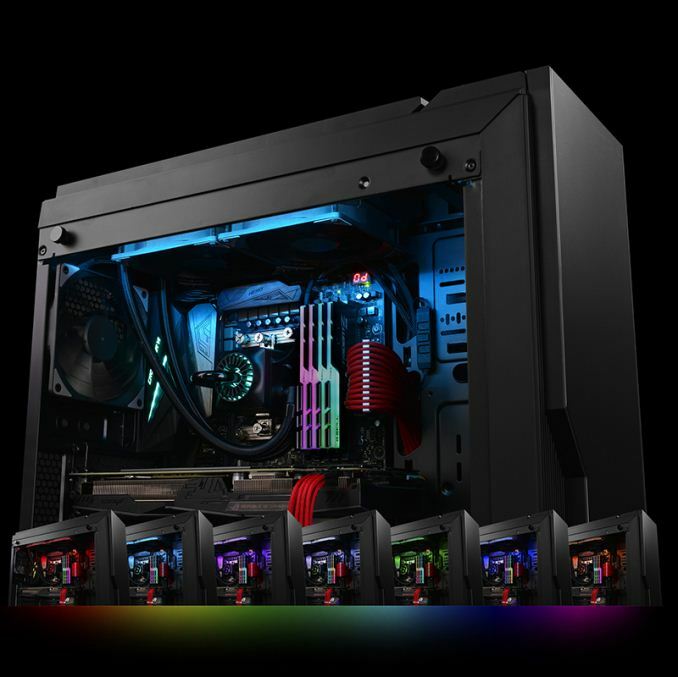 The new Captain EX RGB cooling systems offer the same cooling performance as the already available Captain EX products, but offer a new look that can be controlled by appropriate software shipped with motherboards from different manufacturers. 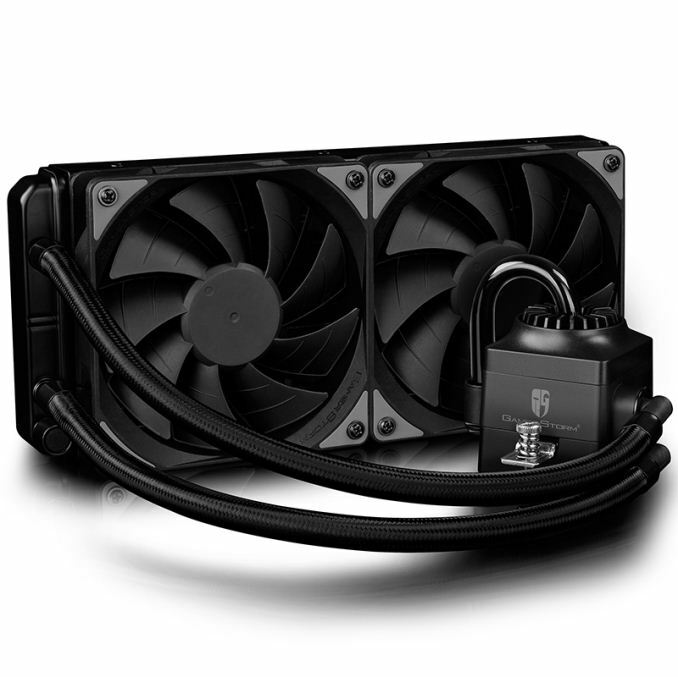 The Deepcool Captain 120EX RGB and the Deepcool Captain 240EX RGB devices resemble the company’s Captain 120EX/240EX cooling systems with 120- and 240-mm radiators (respectively) as well as one or two 120 mm fans. The products are compatible with all modern processors from AMD (including AM4) and Intel (including LGA2011-v3 and LGA1151). As for performance, both parts are rated for CPUs with TDP of up to 150 W.
The main differences between the Captain EX and the Captain EX RGB coolers are RGB LEDs integrated into waterblocks of the latter as well as a bundled LED strip for the case. The lighting of the Deepcool Captain EX RGB coolers can be controlled using the included wired controller, or the RGB LED-controlling software (such as the ASUS Aura) supplied with appropriate motherboards. The addition of the Captain EX RGB coolers into the Deepcool lineup emphasizes the importance of customizable LED lighting for high-end PC hardware for enthusiasts. Nowadays a lot of people demand to have an option to build a computer that looks exactly how they want and customizable RGB lighting is an easy and relatively inexpensive way to do it. In speaking to companies like Corsair, despite the negativity surrounding RGB lighting, it tends to make up a significant portion of sales, especially on high-end products, when both plain versions and RGB versions is available. The Captain 120EX RGB and the Captain 240EX RGB from Deepcool will be available starting next month for $99.99 and $129.99, respectively.